This book provides simplified principles of surgical anatomy for colorectal cancers with sophisticated drawings, standard laparoscopic procedures with striking photographs and illustrations, and advanced procedures such as lateral pelvic node dissection and "down to top" or "reverse" total mesorectal excision. Oncological safety as well as minimum invasiveness of laparoscopic surgery for colorectal cancer has been acknowledged worldwide, based on long-term outcomes of several randomized controlled trials comparing laparoscopic surgery and open surgery. Developments in optical devices have provided us with a magnified clear vision of fine anatomical structures, facilitating our understanding of surgical anatomy and surgical procedures have been refined and improved accordingly. All these topics are presented in this book-valuable for surgical residents and experts eager to learn more about laparoscopic colorectal surgery-and readers will be enlightened by a new paradigm for "lap-enhanced surgical anatomy". 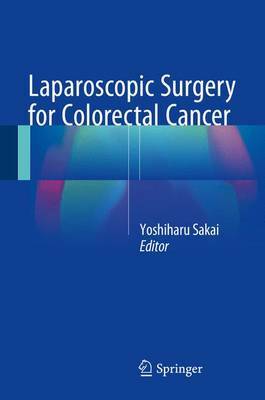 Therefore this volume will greatly benefit not only colorectal surgeons but also general surgeons as well as gastroenterologists and oncologists.